We have been South Australia’s leading brick maker for over 120 years and are proud to be 100% South Australian owned. Builders and architects recognise the quality and reliability that Littlehampton represents and the extensive range of colours and textures that only kiln fired clay can provide. 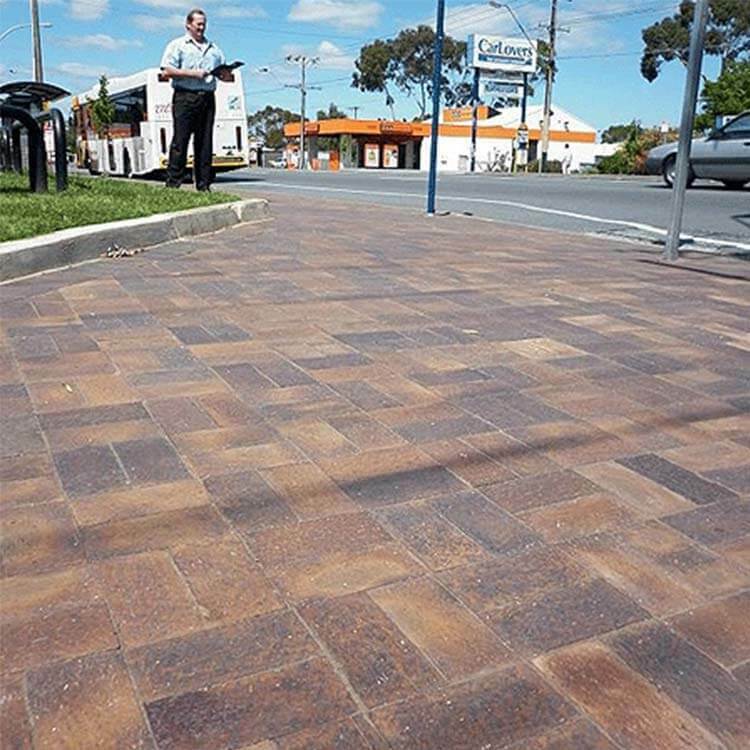 Little surprise then that Port Adelaide and Enfield Council recently called upon the company to produce over 4000 square metres of Mahogany 70mm commercial pavers for their upgrade to the footpaths on Main North Road in Enfield. Trade Sales Representative Wayne Hunter said “When the Council were considering replacing the existing concrete and hotmix paths, Littlehampton clay pavers were the obvious choice. “Our clay pavers have proven they stand the test of time due to our traditional manufacturing processes, such as high 1200c kiln firing which ensures the colour is burnt into the clays and will never fade. In recent years, Littlehampton have supplied pavers to Walkerville Council, City of Onkaparinga, Northern Areas and the Adelaide Hills Council, to name but a few. “Increasingly councils are turning to our clay products as they see the long-term value in investing in a product that not only looks good, but has longevity also” Mr Hunter said.